Where Can I Find Acura RDX SUVs for Sale Near Me? 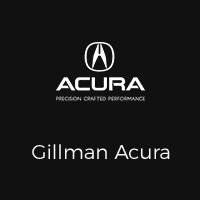 Are you asking yourself, ‘where can I find new & used Acura RDX SUVs for sale near me?’ Gillman Acura offers an exceptional selection of new, used & certified pre-owned Acura RDX Compact Luxury Crossover SUVs for you to browse and test drive in Houston, TX. Why Pick the Acura RDX? The RDX is evidence that high-end driving isn’t relegated to the land barges of the past. There’s lots of dynamite packed into the RDX’s compact package. As a matter of fact, if you’re searching for the ‘sport’ in your luxury sport utility vehicle, we’ve got a memorable test drive waiting for you. Our awareness to luxurious detail is on full display with the RDX’s standard features. From the powered 10-way driver’s seat, lift gate, and moon roof to the cutting edge touchscreen infotainment display and elegant interior materials, the RDX is fully stacked with everything modern luxury drivers demand. If you’re thinking ‘compact’ applies to the powertrain, we’ve got some eye-openers waiting for you underneath the RDX’s hood. But don’t take our word for it. Just take our 3.5-liter V6 engine out for a test drive and witness the fuel-sipping 279 horse-powered RDX for yourself. Our responsibility to automotive safety is on full display with the Acura RDX and the awards keep rolling in. The 2017 Top Safety Pick+ has left a long lasting impact on automotive safety specialists with our exclusive tech like adaptive cruise control, lane keep assist, and our Collision Mitigation Braking System. With the RDX, assurance comes standard.